Property 13: Escape the world, relax and unwind at The Lily Pad at Byron. Ideal for couples. 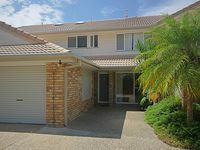 Property 27: Byron HInterland Villas, 3 bedroom Villa. Have stayed in Byron many times and this was the best place by far. Incredible value for money, ideal location. Two great places to eat and drink close by (Beach Restaurant and The Top Shop). Outdoor area was great as was the BBQ. Really modern kitchen with heaps of utensils etc. Beer fridge in the garage. Only thing i could think of which would make this place even better would be if there was a hairdryer provided and a cheap high chair to be stored in the garage. Would come back for sure. Perfect distance fro the centre of Byron. Loved staying at The Amala, on the edge of town and very peaceful. Pool was brilliant and the house very comfortable.